Are you a new mom or mom-to-be looking for a carrier to take you from birth to toddler all in one swoop? Then a LÍLLÉbaby might be just the thing you need! 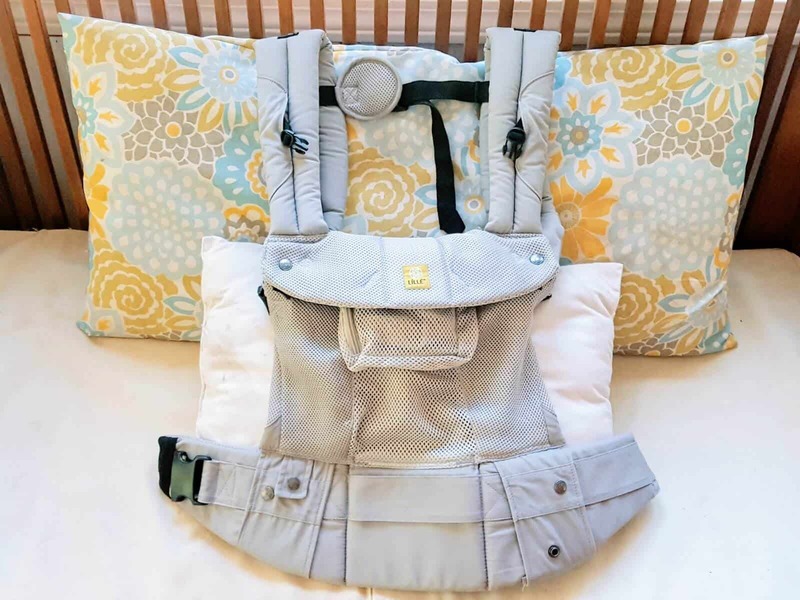 I purchased a Lillebaby over a year ago, and since I get asked about it a ton by other moms I knew it would be useful to share my review of it on here as well! 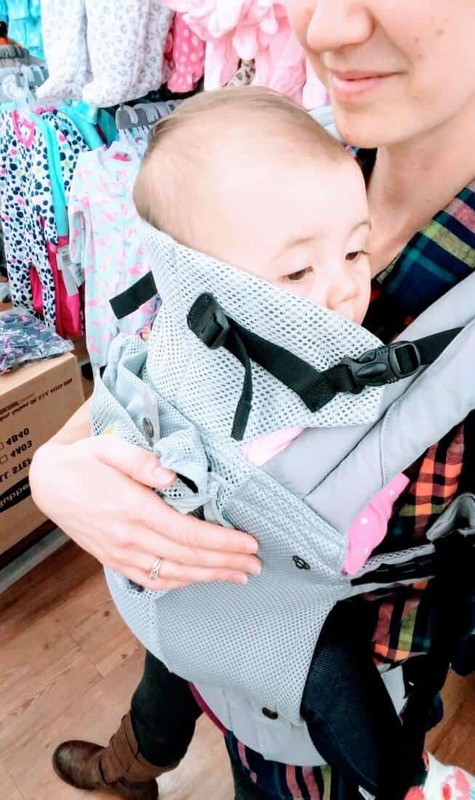 After spending hours researching for the perfect carrier, I was determined that a LÍLLÉbaby was the answer. I needed something that was comfortable for long-term wear, had pockets (love me some pockets! ), and was breathable. Plus it had to have the ability to front-face. Whew! That’s a lot of requirements. A tall order, but the LÍLLÉbaby Airflow Complete, has met all of those requirements and more. LÍLLÉbaby has a beautiful line of carriers. They offer basic colors and gorgeous patterns (there is even a donut one!) as well as different types of carriers. I went with the Airflow Complete because I knew both Charlie and I tend to get really hot while babywearing. I liked the gray and felt like it would go with everything. It offers 6 different carrying positions, can be used starting at birth, has two pockets, and is made of a breathable mesh fabric. End result? I really love this carrier and recommend it to all of my friends. I love that the back panel can be adjusted up or down thanks to the neck support (great for my tall baby) and that there is a zippered pocket that is separate from the hood storage (great for a credit card, keys or even a cellphone in a pinch). The fact that it can be used from birth without an insert is genius, and the ability to snap the seat into different widths made the in-between months a breeze. My absolute favorite thing about the LÍLLÉbaby though is the lumbar support. 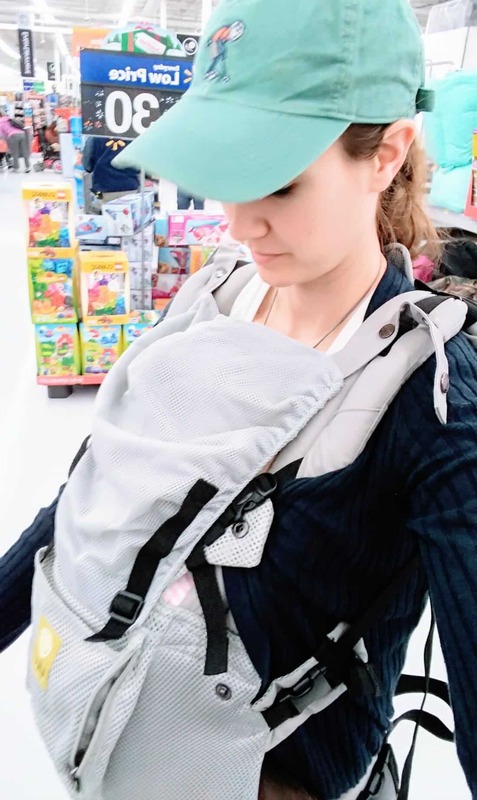 My back often hurts when babywearing, despite using correct positioning, and the LÍLLÉbaby allows me to wear my daughter longer than any other carrier. I have a bunch of carriers, but if wearing for a decent amount of time this is the one I will grab. I was initially worried that the Airflow version would not be warm enough for the winter, however, there is ample padding to keep everyone warm when used year-round. In fact, I still feel like we get a little hot in it but that is bound to happen since we are pressed together! The carrier is also really comfortable to breastfeed in, since it is adjustable in so many different directions. The hood also makes for a nice cover when nursing on the go. 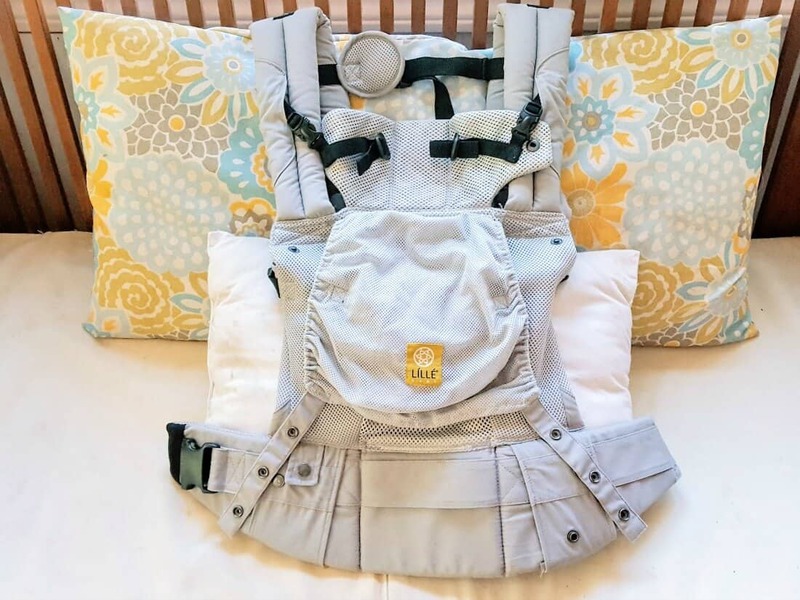 When compared to other carriers, the LÍLLÉbaby does have more padding in the shoulder and waist straps—which makes it extremely comfortable, however, can feel a bit much at times. Sometimes I wish it was a little less bulky, but I definitely enjoy the comfort level. Additionally, I am very tall and the carrier fits my torso just fine (including when nursing in it), though with my slim frame I have to tighten the straps as tight as they will go, and sometimes wish I could tighten it more, especially in the back-carry position. The straps are made to accommodate a wide range of sizes though, which is a plus if sharing with someone else. You can also cross the straps if you prefer (which is really unique), to get a better fit. 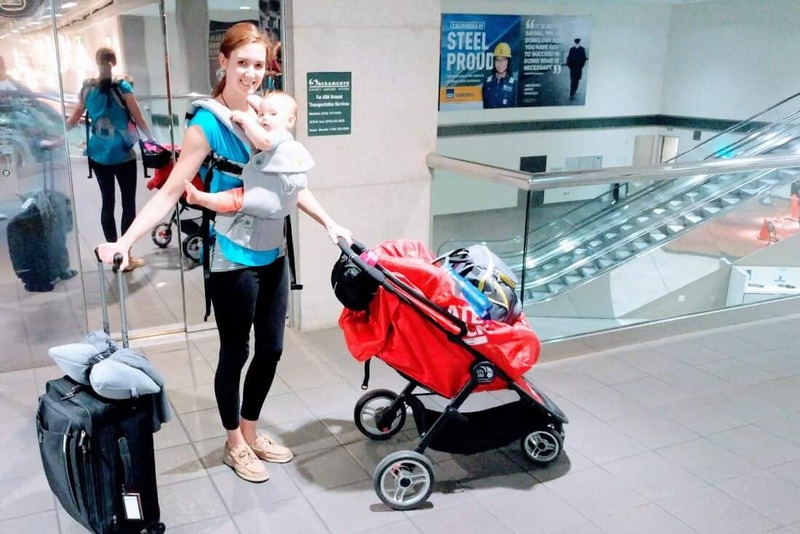 It is very comfortable to travel in (you may recognize the picture below from my post about traveling carry-on only with a baby), but it is too big to squish into a diaper bag (just something to keep in mind). 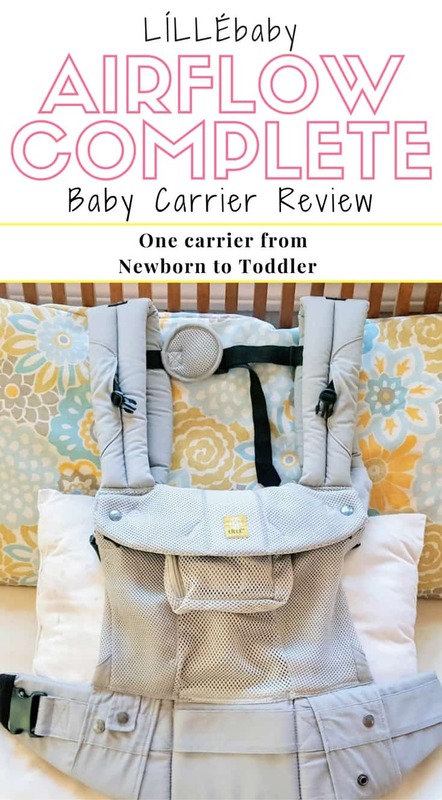 I’m a huge LÍLLÉbaby fan, and I like that you can use this carrier up to 45lb. However, I recently starting using the Carryon All Seasons Toddler carrier, which I find even more comfortable for a growing toddler! 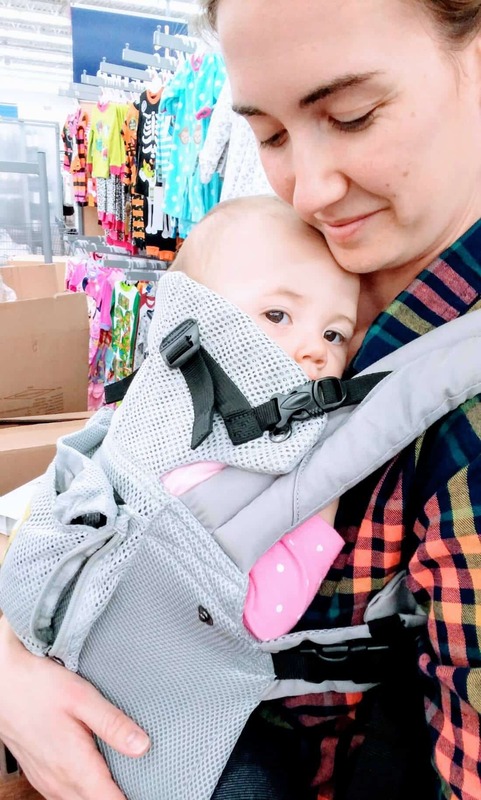 Overall, however, I absolutely love this carrier and think it has everything a parent might want in a soft structured carrier. Other moms agree- it made the list on The Mom Friend’s Baby Registry Essentials & Lifesavers guide! I would definitely buy it again, maybe next time in this cute anchor print! 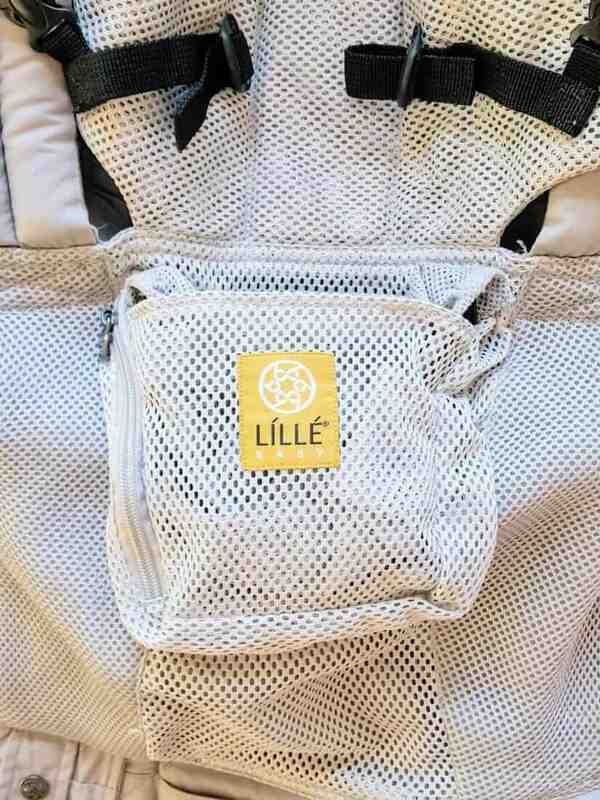 Have you tried a LÍLLÉbaby carrier before? Tell me what you thought below? If you haven’t which one is your favorite style? 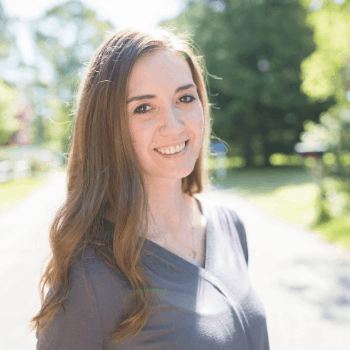 New mom or mom-to-be looking for more tips, information, and advice on registries, baby gear, life with a baby and some encouragement? Check out The Mom Friend’s Pregnancy & New Mom Resource page!